MBTI is one of the most popular personality tools in the world. MBTI in Pakistan though has not been used in its true sense. It is used to better understand your personality and that of others. It can be used in relationship handling as well as in a variety of business settings. 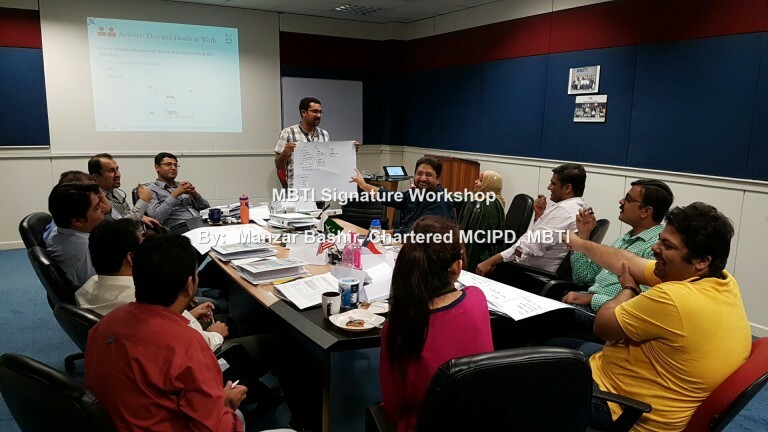 The Step II level of MBTI also known as the advanced level is highly useful for employee development within companies. The purpose of the Myers-Briggs Type Indicator® (MBTI®) personality inventory is to make the theory of psychological types described by C. G. Jung understandable and useful in people’s lives. The essence of the theory is that much seemingly random variation in the behavior is actually quite orderly and consistent, being due to basic differences in the ways individuals prefer to use their perception and judgment. One of the practical applications of the MBTI and understanding these preferences is in supporting better Teamwork. Differences in these mental preferences lead to quite different value structures and communication styles, which can hamper mutual understanding and cooperation. The MBTI® is a registered trademark of Myers‐Briggs Type Indicator Trust and is published by CPP, Inc). Only a Certified Expert from CPP Inc California is allowed to purchase, administer, interpret & provide coaching, training & counselling on all the MBTI® and Strong® assessments, on-line reports & instruments. MBTI in Pakistan has been used a lot but mostly wrngly. Working with a non qualified expert is just like asking a barber to do a surgery. Over the next few days we will look in some detail into the different 16 MBT personality Types. All preferences are equally valuable and each type brings an important point of view when people interact. A mixture of types is best for a work group or team because many views are represented. MBTI® type indicates a person’s preference but not his or her ability or character. Personality type should be used as a way of understanding yourself and for assisting you in making choices. However, it should not be used as the only tool for choosing careers, partners, jobs, schools, etc. The most important aspect of the Myers-Briggs® type theory is that every type has value. Although each type approaches situations differently, and another person’s approach may not be what you would choose, each way can be effective. In the coming weeks we will also be discussing more about psychometric especially the Big Five theory and how its tests can be applied in Business.